Did you know that blue is one of the most common colors in fashion? We see it daily, especially because blue jeans are everywhere! Blue has a calming effect. There are many different shades of blue, from Indigo to Lapis and Cyan to Sea and Ocean Blues. They anchor every delivery. Doubling True Blue and adding the Double Take enhancer makes for a bold blue statement! What a stunning, elongated look when True Blue is combo’d with Silver Chic. And so simple! It sure adds some sparkle! What about switching Silver Chic for Silver Splash or Twist and Shout for that same shiny #pdcombo? 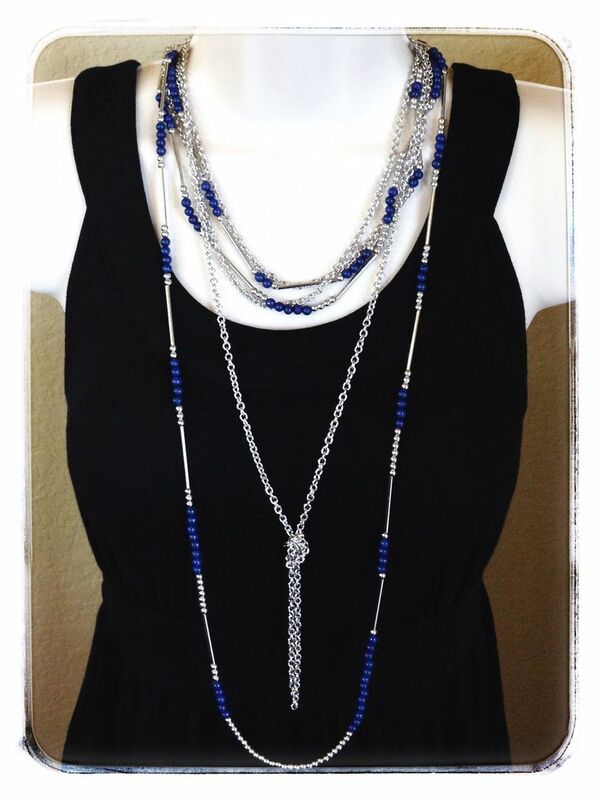 Check out this vibrant mix of beads and stones on our True Blue and Gemma necklaces! Adding the Silver Swirl enhancer on the chain of True Blue doubled really grounds this look. There is so much versatility with this piece and this is just one of the gorgeous ways to make it your own! Take your #pdstyle to a whole new level of glamorous by layering blues in your clothing and accessories just like this #pdcombo with True Blue, Gemma, and Blue Lagoon necklaces! Oh my goodness. I love these and have all of these pieces. I have the bottom and top combo but thank you for the added ideas. Thank you for the ideas and pictures !! Wow!! Who knew??? so many choices to pick from and so versatile!!! !